As the global population grows and questions arise about farmers’ ability to feed everyone, questions are also arising about their moral obligation to do so — particularly in light of new possibilities that are emerging for them to turn their crops into fuel instead of animal feed or food. This really has some people irked on both sides of the table. On one side are those who say farmers should be able to do what they want. After all, it’s their land, their crops and their livestock. 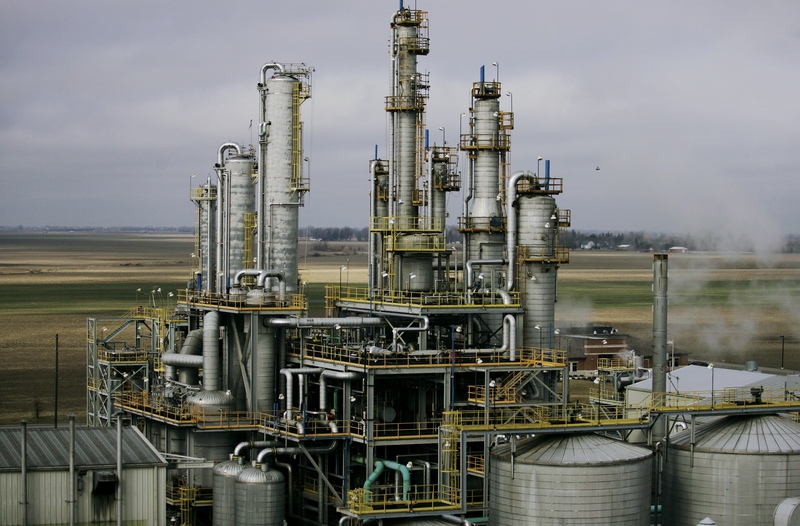 If they get an opportunity to sell their corn to a company that is going to turn it into ethanol, and pay them more for it than a processor who is going to turn it into corn flakes, who’s to say they shouldn’t? The government? Society? And if we’re ever going to have relief from Big Oil’s chronic stranglehold, don’t we need alternative fuels such as ethanol and biodiesel? Periodically, the agriculture sector steps forward with new or additional perspectives on this matter, usually financial. The latest took place last week in Guelph, when the Grain Farmers of Ontario invited the media and industry leaders to hear results of a study led by industry hall of fame member and former University of Guelph professor Terry Daynard on the food-versus-fuel debate. I write about his report in my Urban Cowboy column in the Guelph Mercury. 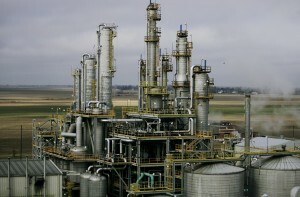 The photo here is from GreenField Ethanol’s Chatham, Ontario plant.